Summer is on its way and everyone will be looking for every opportunity to bask under the sun. This also includes an excitement for feasting outdoors. 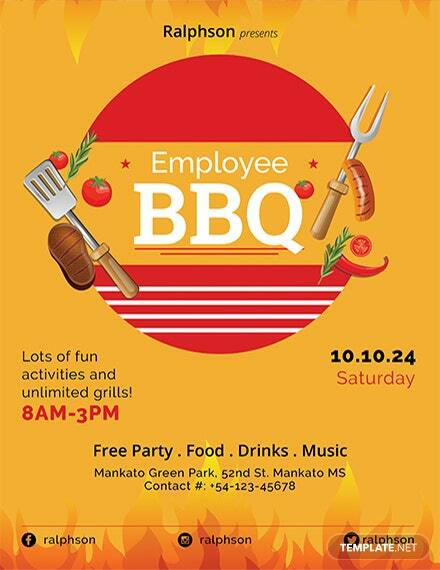 flyer templates that we could find. 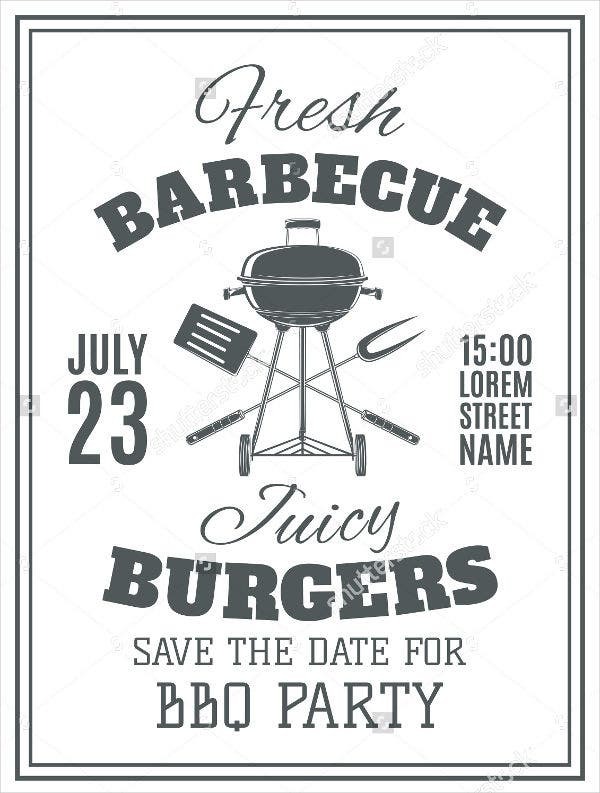 Get ready to add some shrimp on the barbie and have an awesome summer BBQ party with all your friends with these invitation templates. There are countless ways to throw a BBQ party and we have every invitation design to complement that. 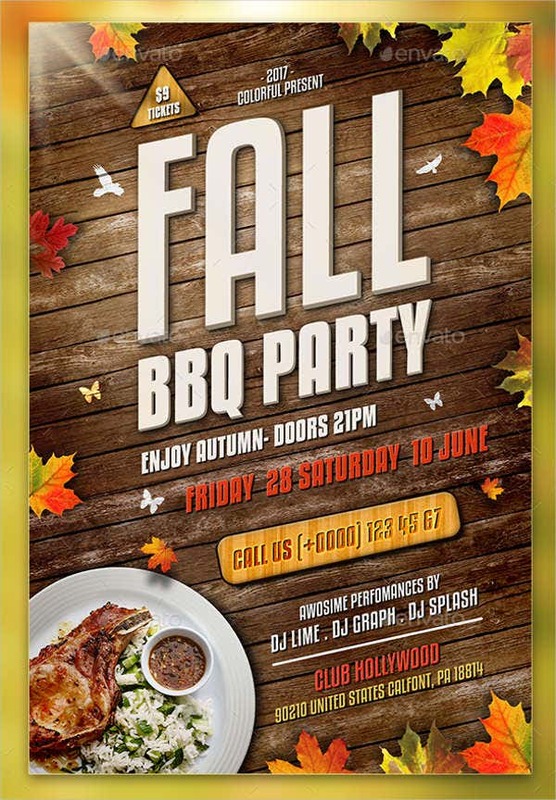 Choose from any of these party flyer templates below and customize them with your party details. 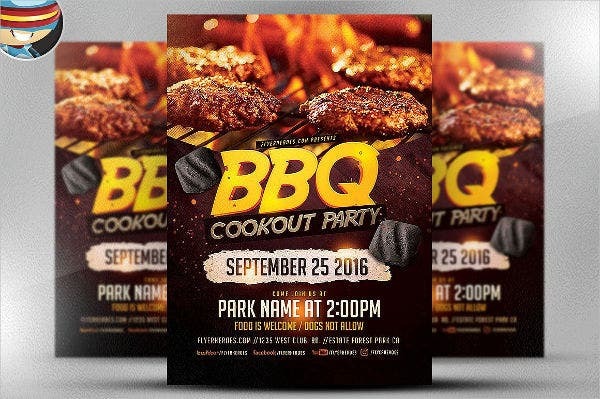 BBQ Party Flyer – We start our collection with the most versatile BBQ party invitation template. Use this template if you are throwing a highly unique party or if none of the designs below fit your taste (which we highly doubt). 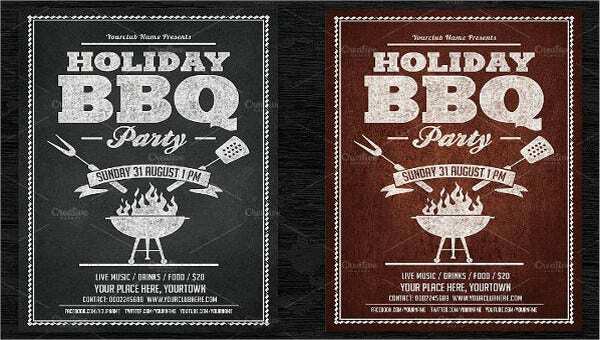 Holiday BBQ Party Flyer – If you are looking for a switch from the usual holiday fare by serving BBQ instead, this template will definitely fit your party. A holiday BBQ party is not a very popular idea, so get ready for a guest or two to imitate your style of party. 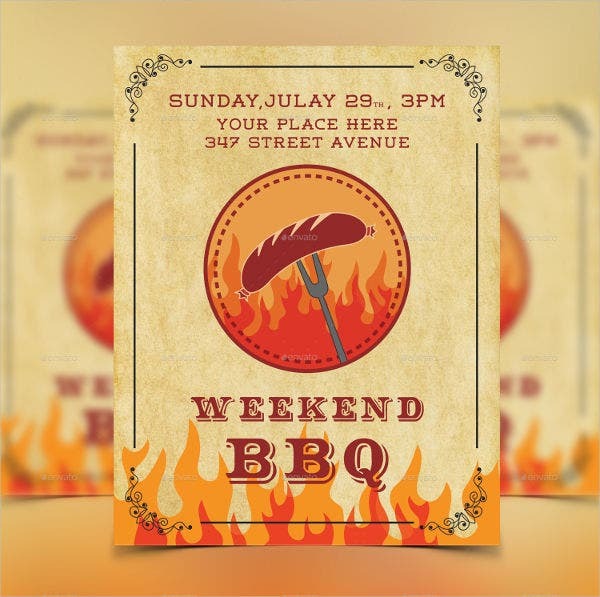 Weekend BBQ Party Flyer – For BBQ parties that will fall on the weekend, use this template. 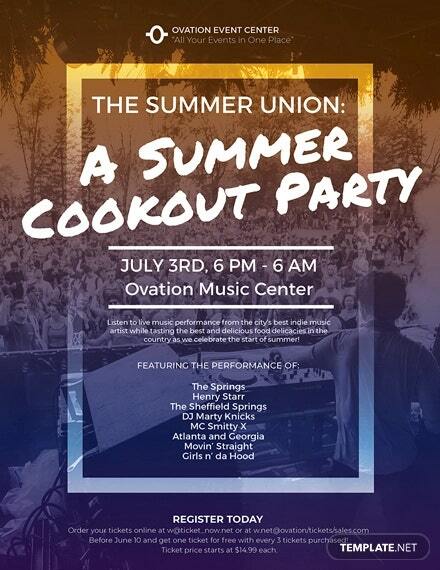 Having the party on the weekend is sure to garner a high attendance, as most people are free at this time. So make sure to print out as many party flyers as you can. 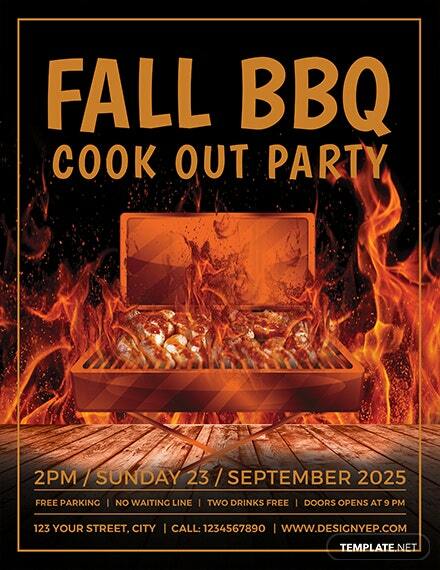 Fall BBQ Party Flyer – Who says you can’t have BBQ during the fall? Everyone can benefit from a change in party theme during this time, so go ahead and have that BBQ party. BBQ parties are perfect to throw because they fit the tastes of both kids and adults. And for some of your guests, the prospect of grilling their own food at a party is highly enticing. 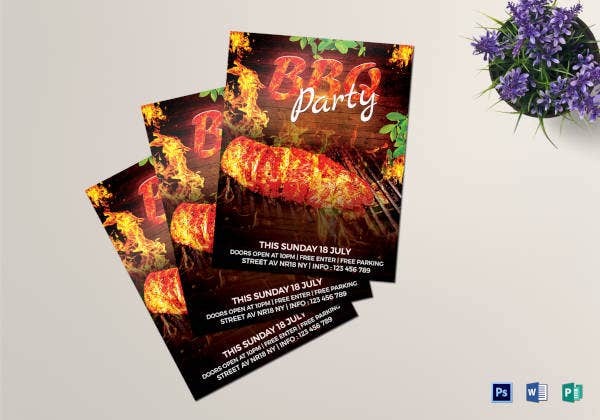 Find more bbq flyer templates below, waiting to be customized and sent out to all that you know for an awesome BBQ party. 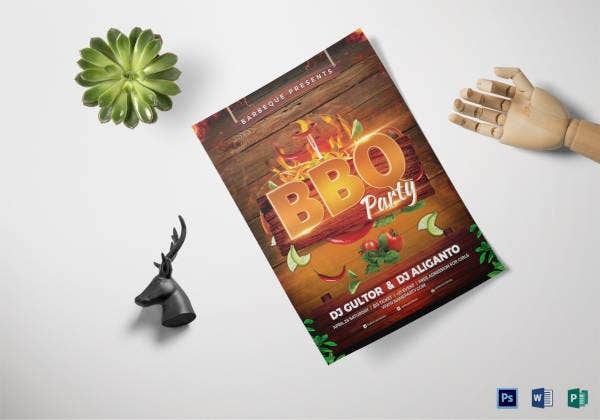 Summer BBQ Party Flyer – Summer and BBQ are highly synonymous and there is no way you can pass up a chance to spend more time outdoors at this time, including to party. 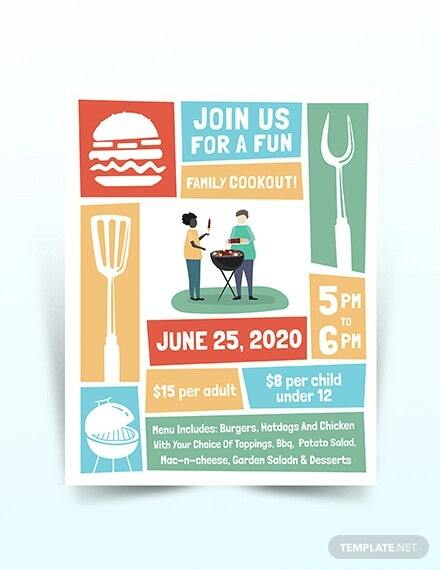 If a summer BBQ party is high up in the priority list soon, then these invitation flyers should give everyone a heads up. 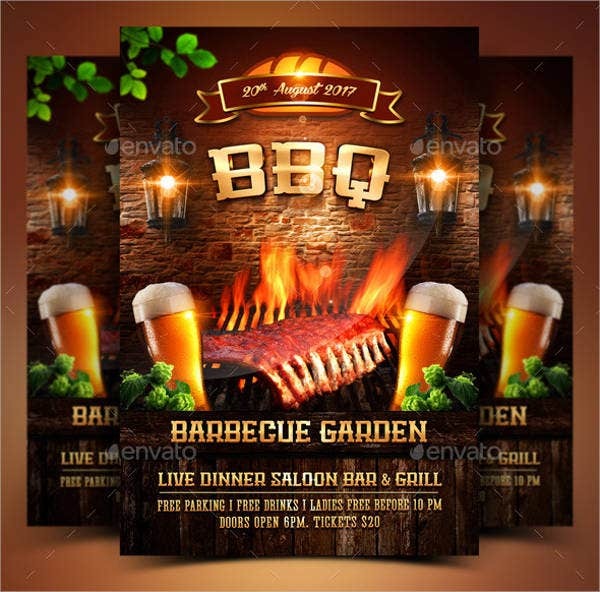 Vintage BBQ Party Flyer – If you are going for a more themed BBQ party, then this vintage invitation flyer will do the job of inviting people over. 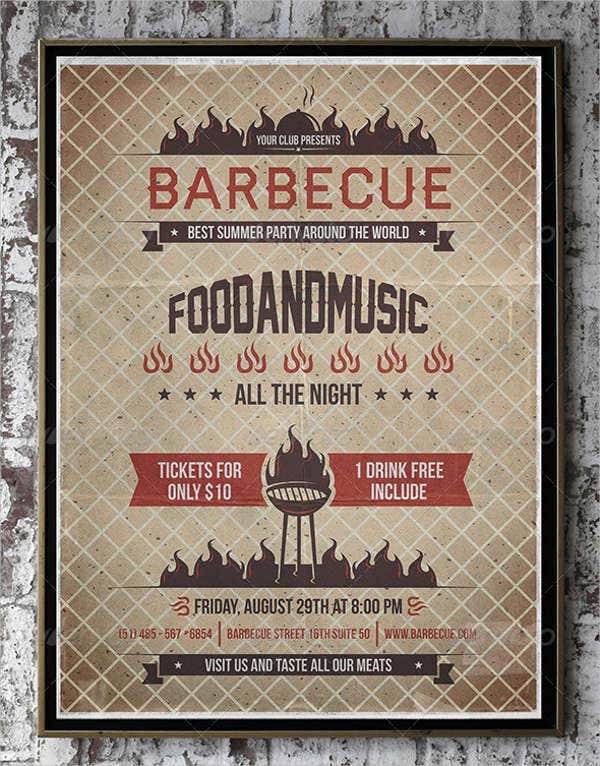 Vintage and BBQ go well hand in hand, due to the relaxed vibe that both themes have in common. 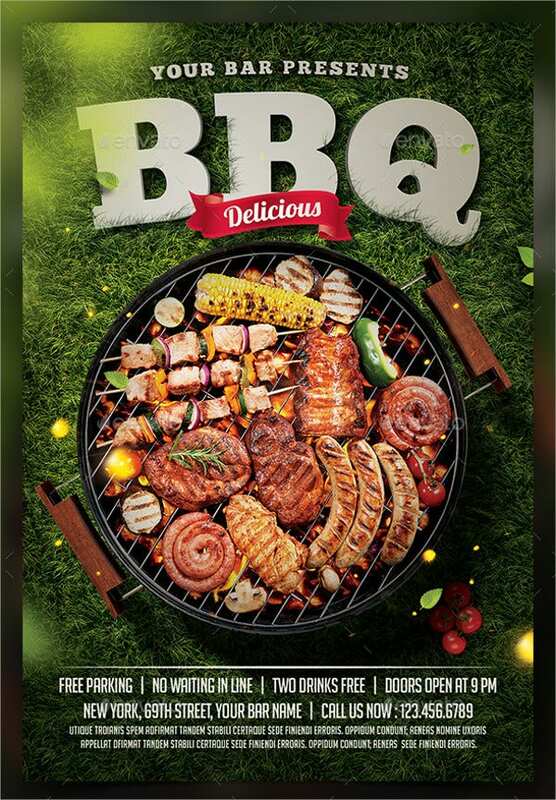 BBQ Cookout Party Flyer – When a BBQ party is in the horizon, people are going to expect to cook food and spend the whole party outdoors. 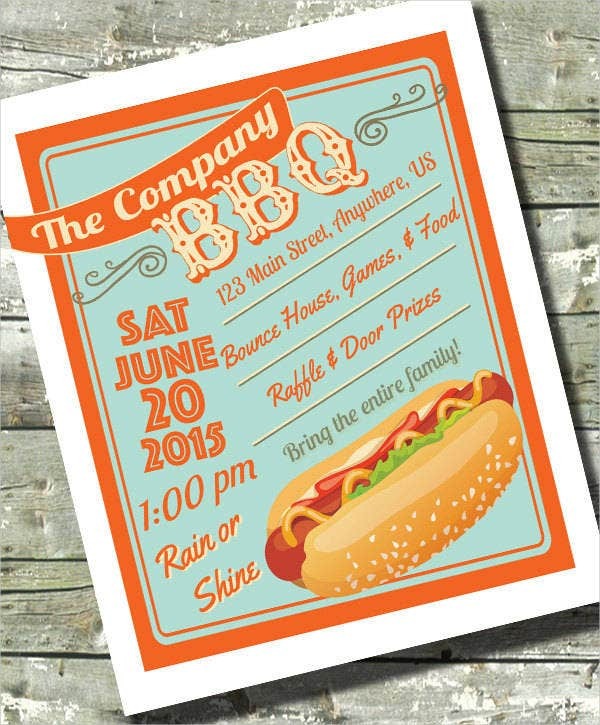 For a BBQ cookout, this invitation template is perfect for the job.